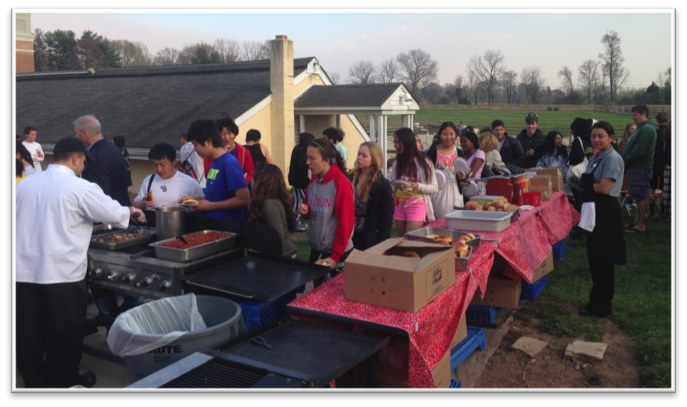 Earth Day Dinner at the George School in Pennsylvania. 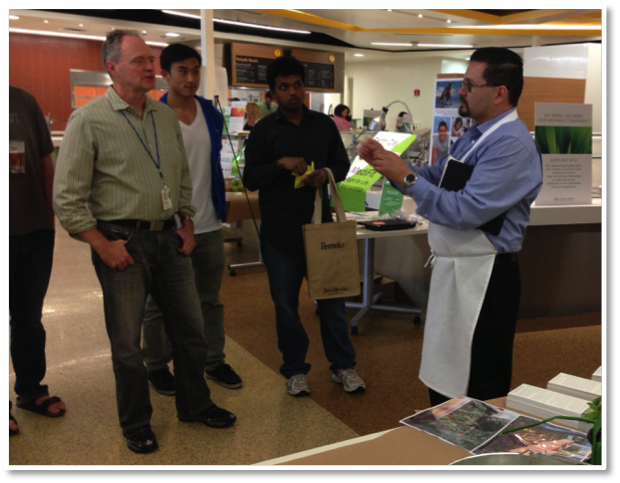 CulinArt assistant vice president Ali Gonzalez explains CulinArt’s sustainability practices to Intuit’s Director of Sustainability and his team. 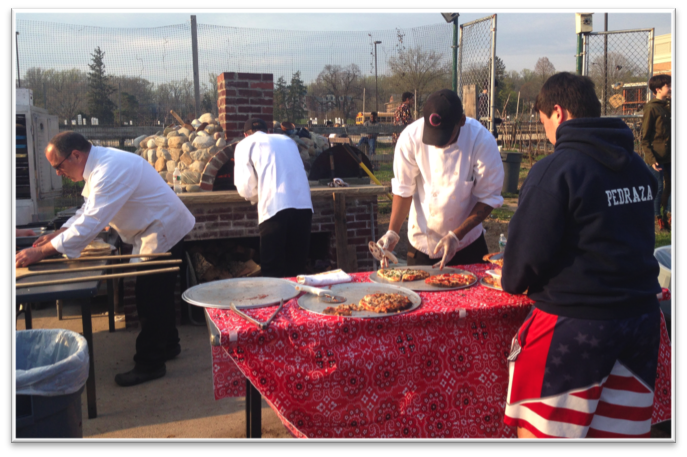 CulinArt staff preparing Earth Day Dinner at the George School in Pennsylvania. CulinArt Group, a growing contract catering company with 160 accounts across the U.S., is used to putting food first. Focused on bringing high quality food to corporate dining halls, campus cafeterias, and group dining facilities, their mission is to offer whole, balanced food at scale. In June 2013, the CulinArt Group engaged Karen Karp & Partners to develop an effective, executable, company-wide sustainability strategy which would allow them to address the needs of a rapidly evolving food landscape. They wanted to set themselves apart from their peers with an ambitious and meaningful approach to sustainability, and by doing so, position themselves for growth. They wanted to set themselves apart from their peers with an ambitious and meaningful approach to sustainability. The goals of this project were to design, test, and refine a multi-faceted approach to sustainability which articulated a mission, vision, and framework for activity-planning. KK&P would then pilot these tools at various client sites, and create a procurement strategy reflecting an increasing commitment to more sustainable purchasing. KK&P’s approach involved detailed research into CulinArt’s current operations, and engagement with and recommendations for company personnel in diverse roles across multiple client locations. Partnering with a “Sustainability Task Force” comprised of CulinArt managers at the corporate office and in the field, KK&P developed a Sustainability Mission and Vision and identified Key Focus Areas. This framework helped guide the other elements of the eleven-month project, which included working with regional managers to organize and execute two culinary-themed Earth Day “community engagement” events at East and West coast client sites; the establishment of procurement standards for top purchases and key commodities; competitor and landscape analyses; and creation of a “Sustainability Playbook” which enables CulinArt team members to document, learn from, and replicate successful sustainability-related activities. The CulinArt leadership team is now incorporating KK&P's recommendations and suggested next development steps into their future plans. In 2016, CulinArt was purchased by the Compass Group, where the company will retain its brand identity and priorities around high-quality, sustainably sourced food.